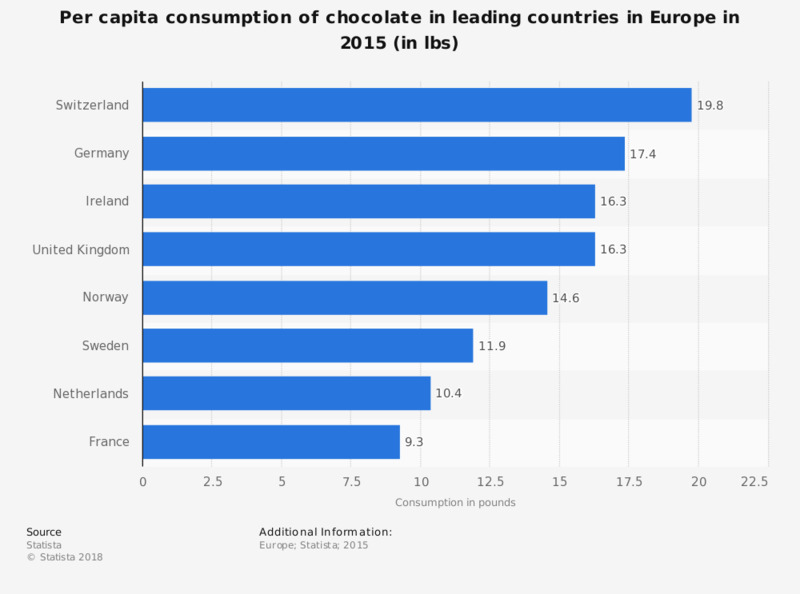 This statistic shows the per capita consumption of chocolate in leading countries in Europe in 2015. Switzerland has the highest levels of chocolate consumption per capita at 19.8 pounds, followed by Gemany at 17.4 pounds. * Based on 'take home panel' data, does not include products consumed on the go.